Kids Fly Free All Spring Break: Flights & Panorama Tours! Spring Break is here and so is the sunshine! To celebrate, we’re offering even more fun for the whole family with FREE flights! 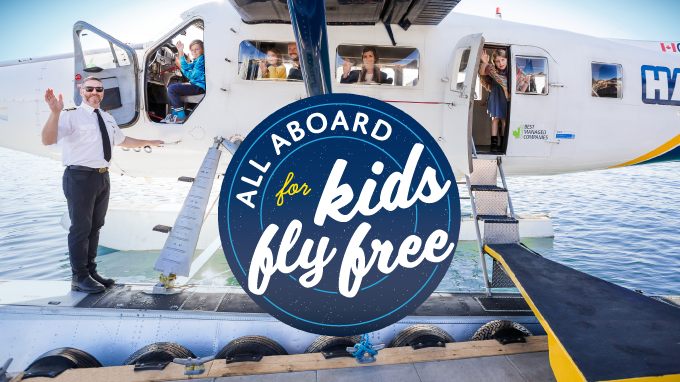 On now through April 1st, kids can fly for free on all domestic flights and Panorama TOURS! Experience your city from above on one of our spectacular panorama tours, and see for yourself why this is a must do west-coast activity. You don’t have to fly far to fly high, one child (11 and under) flies free with each accompanying adult passenger.